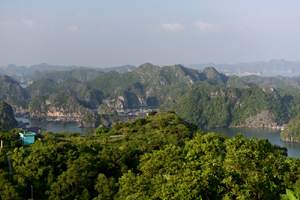 Have you heard about Cat Ba Island in Halong Bay Vietnam? Well even if you haven't it is one of the treasures of Vietnam that you should put on your list of places to visit. 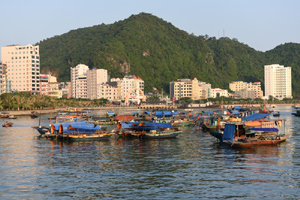 Located off the coast in the north of Vietnam Halong Bay is famous for its old style Chinese Junks sailing among the multitude of limestone islands that litter the bay, Cat Ba is one of the few inhabited islands and is a little more off the main tourist track. Certainly quieter and more peaceful than the main part of Halong Bay and such a relief from the crowded sweaty streets of Hanoi, Cat Ba is a peaceful escape. Although torism is developing on the island local life still continues with fishing providing the main income for most families. 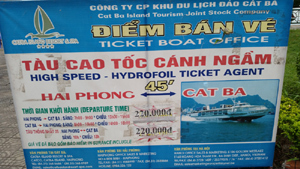 Getting to Cat Ba Island takes a bit of planning and a boat ride. Being an island to get to Cat Ba you will need to take a ferry from Haiphongwhich is a large coastal town about 3 hours from Hanoi. To get to Haiphong from Hanoi you can either organise a private transfer with either a hotel or one of the many transfer agents in the city, expensive - US$50 each way but easy and quick - 1 hour.